Gabby is a super cute and sweet Poodle who was turned in to a shelter after her owner died. She loves to be with you and is a pleasant little companion. Gabby walks well on leash and loves to go for walks and car rides. She gets along well with other dogs as long as they aren’t really obnoxious. She plays with my Chihuahua/Dachshund mix a lot. Gabby gets along well with my cat, even though they sometimes have words. Gabby does attach herself to her person and is really affectionate. She is in good health. When Gabby came in she had horrible ear infections. They have been treated and are doing very well now. She was incredibly itchy and antihistamines did not help, so the vet started her on Apoquel. Her skin issues are much improved. Gabby is looking for her forever home. If you think it could be yours, read more about Adopting from BDRA before submitting your application below. BDRA relies on your donations to rescue blind dogs around the United States. Please consider giving in support of Gabby. 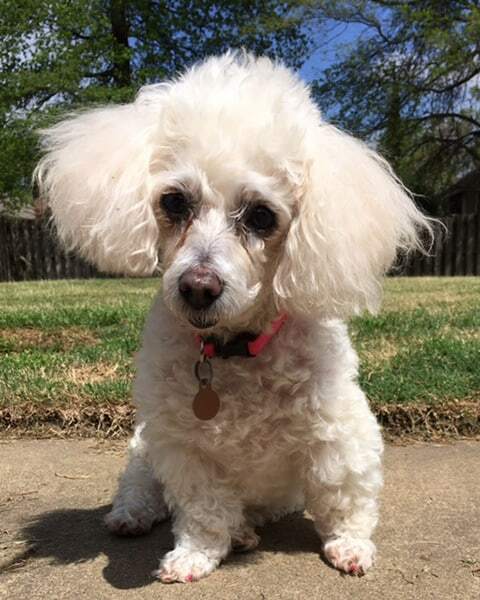 Gabby is an 11 year old cutie from Texas who was put in a shelter after her owner died. 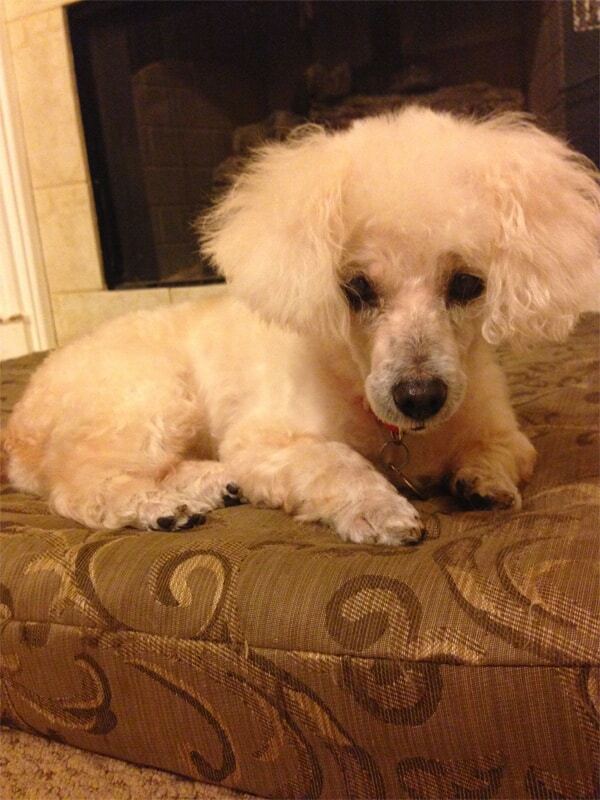 She has cataracts in both eyes and has limited vision in her right eye, but no vision in her left eye. Regretfully, Gabby is not a good candidate for cataract surgery. Gabby is a cheerful little girl who loves to go on walks and and hang out with you wherever you are. She has the cutest habit of often sticking the tip of her tongue out. Gabby gets along with other dogs and with cats. She stays with her Poodle, Chihuahua/Dachshund and kitty foster siblings while her foster mom is at work. She enjoys playing, but if another dog is obnoxious and gets in her space she will tell it to back off. She never hesitates to let you know what she wants. Gabby is in two types of eye drops that she will need to be on for life to make sure she doesn’t develop glaucoma. She is also on Apoquel to help control allergies. She had terrible ear infections and super itchy skin when she first came into rescue. Antihistamines and ear drops didn’t completely control them, so the vet put her on Apoquel and her skin has done much better ever since.